Real-Life Sleeping Beauty Fails Exams After She Naps for 3 Weeks at a Time: What Is Kleine-Levin Syndrome? Sleeping for too long hours is more like a dream, or something that we have only heard in the fairy tales. 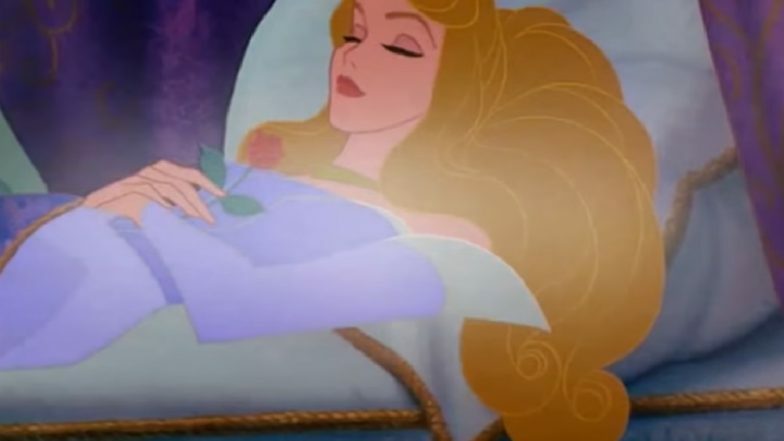 But little did we know that sleeping beauty does exist in real-life and no prince can rescue her from the rare disease, known as Kleine-Levin Syndrome. Rhoda Rodriguez-Diaz, from Leicester, United Kingdom has “sleeping beauty syndrome,” which causes a person to nap for up to 22 hours a day. She can sleep for up to three weeks at a time, and the condition is so bad that she has even napped through her crucial end-of-year university exams. Yes, because of the brutal syndrome, the 21-year-old student had failed her second-year examinations. Women Sleep Better in Company of Dogs Than Cats or Humans. When she was a child, Rhoda was diagnosed with hyper insomnia—characterised by extreme tiredness by her General Practitioner (GP). However, it was not until last year in September, that doctors finally discovered that the psychology student had the one-in-a-million Kleine-Levin Syndrome. Rhoda goes months at a time without experiencing an episode. “It's really annoying when people call me lazy. I do struggle to deal with the effects of it. But I'm determined to not let it have a big impact on my life. It is one part of me and not who I am. It's frustrating because I can't help it,” Rhoda explained in a Daily Mail report. Expert Tells You Why You Should Be Careful With Sleep Medication. “Life goes on whilst I'm sleeping. Reality hits me when I wake up and realise I've missed like a week of my life,” she continues. The 21-year-old further recalled how as a child, she was unable to spend as much time with friends as she would have liked. She was dismissed from her course in July 2018, when she failed to participate in many exams and missed her coursework deadlines because she was asleep. Kleine-Levin Syndrome is a rare and complex neurological disorder characterised by recurring periods of excessive amounts of sleep, altered behaviour and a reduced understanding of the world. According to the Kleine-Levin Syndrome Foundation, the disease strikes adolescents majorly but can occur in younger children and adults. At the start of an episode, the patient becomes increasingly drowsy and sleeps for most of the day and night, sometimes waking only to eat or go to the bathroom. Just like Rhoda’s case, the victims of Kleine-Levin Syndrome are not able to care for themselves or attend school and work. Each episode lasts days, weeks or months during which time all regular activities stop. The Psychology student majorly snacks on junk food during nap breaks and often puts on weight during an episode. Since her case is “exceptional,” the University has allowed Rhoda to sit for her second-year exam again.